Benoit M. Duchesne is a partner in Gowling WLG's Ottawa office. Benoit practises civil and commercial litigation, administrative law litigation, bankruptcy and insolvency litigation and Aboriginal law in Ontario and Québec. Over his years of practice, Benoit has represented corporations, partnerships, municipalities, not-for-profit corporations, insurers, lawyers, financial institutions, trustees in bankruptcy, corporate directors and other corporate and individual clients before the Superior Court of Justice, Divisional Court, Court of Appeal for Ontario, Federal Court, Federal Court of Appeal, Québec court, Superior Court of Québec and the Supreme Court of Canada, as well as before a number of Ontario, Quebec and Canadian administrative tribunals, including the Patented Medicines Prices Review Board, the Ontario Municipal Board and the Assessment Review Board, among others. Benoit has acted as independent legal counsel for municipal and school board committees in connection with electoral law issues, and is a first-call advisor for international private law matters involving disputes over jurisdiction and forum. Benoit has significant experience in public and private injunctive proceedings, shareholder and partnership disputes, creditor-debtor matters, director liability and corporate governance matters, which allows him to provide insightful pre-litigation and in-litigation strategic advice that produces results. Benoit is fluently bilingual and practises law in both English and French. 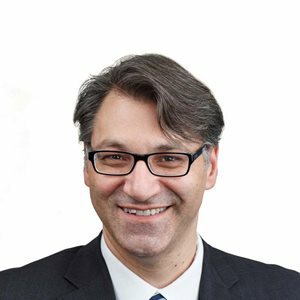 Benoit also teaches Ontario civil procedure courses on a part-time basis at the University of Ottawa in the Faculty of Law’s Canadian Law Program. Benoit is a member of the Editorial Committee of the Journal of Parliamentary and Political Law. 01 July 2015 The cost of an ineffective conflict check system: $45 million!